Father Christmas is going green so get ready for better gifts [caption id="attachment_5497" align="alignright" width="220"] The original Santa is still the best[/caption] A new campaign has been launched to resurrect the original green Father Christmas. ‘Green Father Christmas’ calls for the festive icon to once again embrace his green coat, abandoning his allegiance with big global consumer brands. Launched by crowdfunding platform Abundance Generation, the campaign stands for a Christmas less focused on consumption. Green Santa was last spotted in the 1920’s, before a well known drinks company expanded his waistline and donned him in red to promote its brand. Far removed from his modern image, Father Christmas once dressed in green, cut a slim figure, assisting children and those in need. 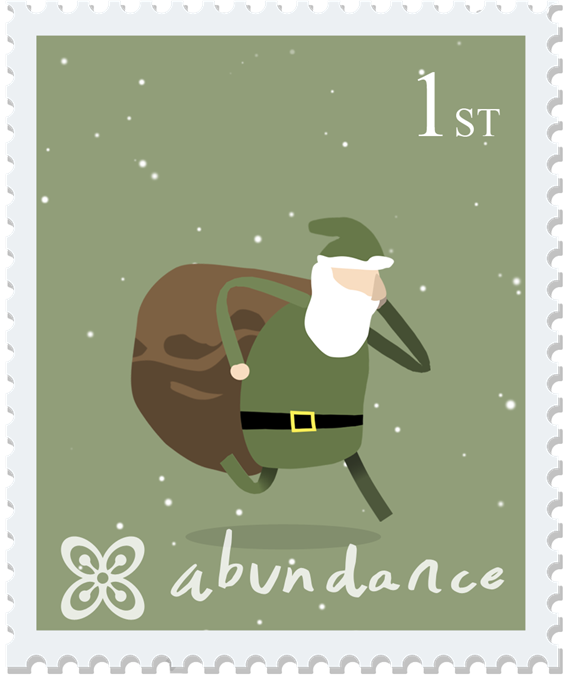 Abundance Generation, as well as helping Father Christmas find a healthier image, is suggesting its ‘Green Energy Investment’ as a meaningful gift this Christmas. 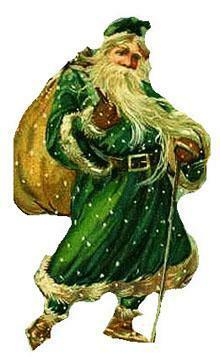 Bruce Davis, cofounder of Abundance Generation said: “Yes, we’re stealing Father Christmas from the drinks industry. We’re reuniting him with his green coat because, once again, Christmas is about far more than acquiring ‘things’. There’s a fast growing shift away from giving material goods, to buying gifts with meaning. We’re pretty sure Father Christmas would approve of our Green Energy Investments. A gift that’s helping to create a clean energy future, as well as a secure return for people.” [caption id="attachment_5498" align="alignleft" width="338"] Modern Green Santa[/caption] In a rare interview, Father Christmas said: “The holidays are coming and I agree it’s time for a change. Representing a drinks brand was fun for a while, but the thrill of the ride has grown thin – unlike my waistline. Last year, the elves and I delivered fewer throwaway presents than ever before, this year we want to give better gifts and embrace the move towards a greener Christmas. I haven’t worn my green coat for decades but it feels great. It is, admittedly, a little tighter than it used to be.” He continued: “Some of the elves at Abundance Generation have come up with a gift of a ‘green energy investment’, perfect for those boys and girls who already seem to have everything! Over the last few years I’ve received an increasing number of letters requesting less disposable ‘stuff’. I’m relieved really, I get great joy from making people happy but was really beginning to worry about the environment. All these things are being shipped around the world before arriving in Lapland, and millions of presents end up as clutter or in a hole in the ground.” The gift of a Green Energy Investment includes Abundance Generation membership and a handful of their green energy debentures. You can gift an investment of £5, £10, £50, £100 or £1,000 in solar or wind power projects across the UK, helping friends and family be part of the shift to clean energy. This offers a fixed return of 6.65% IRR over a 19 year duration. Ideal as a gift for children, the investment can put into a bare trust until a child reaches 18 years of age. Gifting a Green Energy Investment is very simple and can be set up via the Abundance Generation online Christmas store. It is important to note that, as with any investment product, there are risks. Part or all of the original invested capital may be at risk and any return on investment depends on the success of the project invested in. All products from Abundance are long term investments and may not be readily realisable (and their value can rise or fall). Estimated rates of return are variable and estimates are no guarantee of actual return.